I was compensated for this post by HEX Performance. All opinions are my own. If you’ve been reading the #HOHGETSFIT updates here on the blog or following the hashtag on Instagram, then you know I’ve been hitting the gym A LOT lately. And, when I go to they gym…. I sweat… A LOT. And, that means… my clothes stink…A LOT. 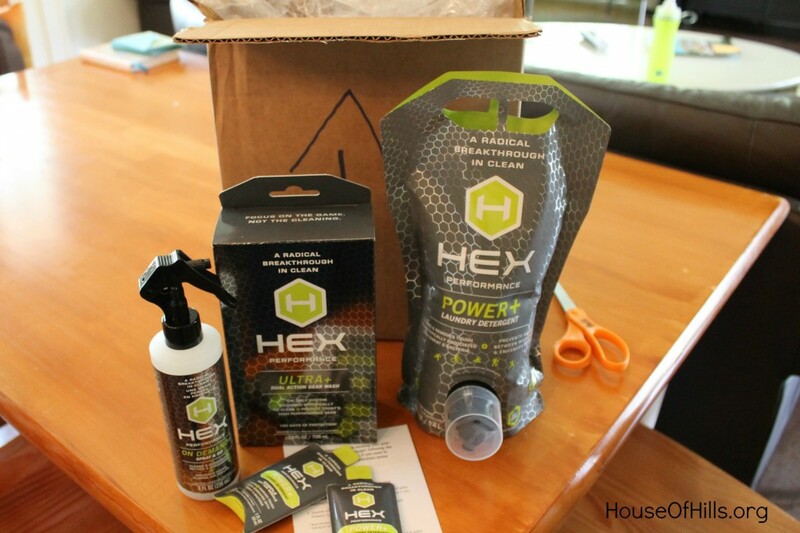 That’s why I was so excited to be contacted by the makers of HEX Performance products! They make laundry detergent especially for stinky, sweaty clothes. Like for real. Well, actually they say it in nicer words. HEX Performance has developed the first and only system designed specifically to clean and protect today’s performance gear and apparel. See, told you they were pretty words. 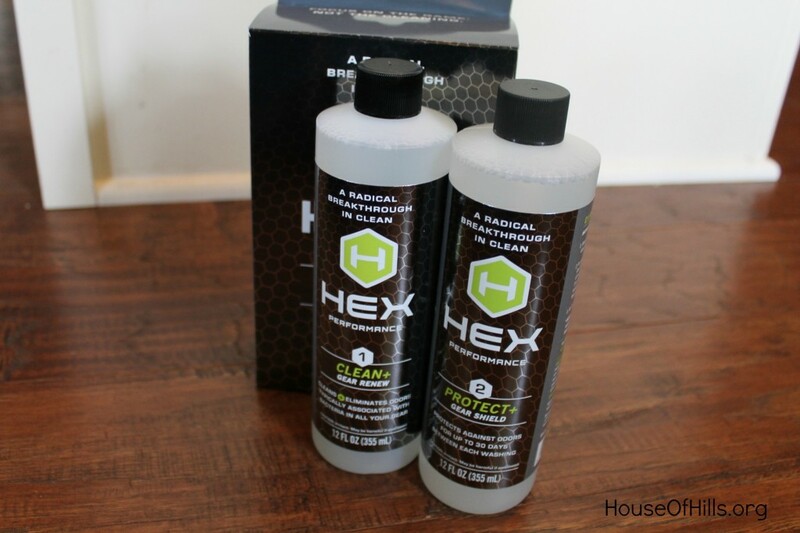 They have three products in their HEX Performance line. 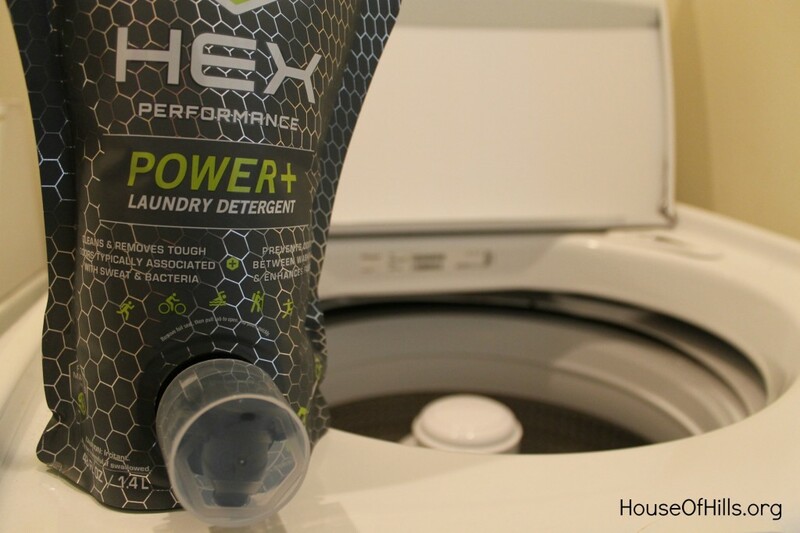 HEX Ultra+ Dual Action Gear Wash is the first and only product guaranteed to clean and protect today’s high performance gear. That means all those nasty shin guards and pads and such. You can wash those with this stuff and not only will it get them clean, but it will protect them from future nastiness. The first high performance detergent with a long-lasting odor eliminating technology, all while staying gentle on fabric and skin. In addition, the detergent is naturally antistatic and restores fabric wickability. This eliminates the need for dryer sheets and fabric softeners, which saves you even more time and money. Basically, it will take the stink out and keep it out. Whoop! It’s the perfect on-the-go solution for protecting and maintaining your gear and footwear. 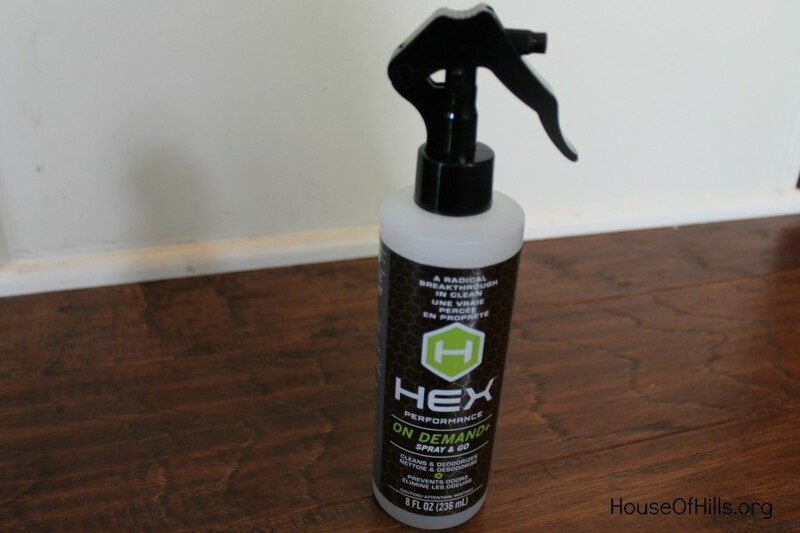 With all of the amazing benefits of HEX tech crammed into a spray that you can take anywhere, from your shoes to your yoga mat, you’ll never have to worry about odor again! This is the stuff you throw in your gym bag so that you can spray your nasty shoes when you take them off at the gym. Or, you throw it in your sports gear bag so you can have it on hand when something needs a quick wipe-down at practice. I was really excited to try the laundry detergent as some of my workout clothes and towels have been getting a little nasty. You can’t sweat in them day after day without a little buildup. Am I right? I saved a big pile of nasty towels to wash to test the detergent. Everything came out smelling nice a clean, and I didn’t have to use any fabric softener – a bonus for sure. I’m excited to have this new resource in the House of Hills. 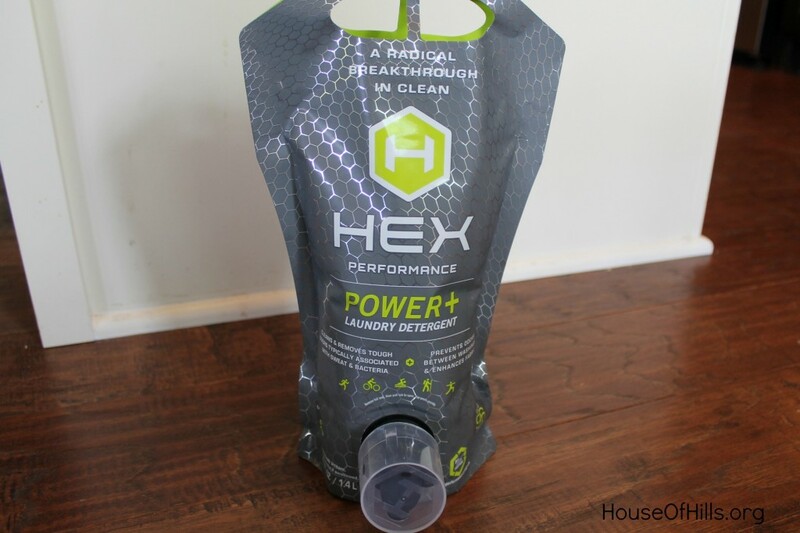 Do you want to try HEX Performance Products? 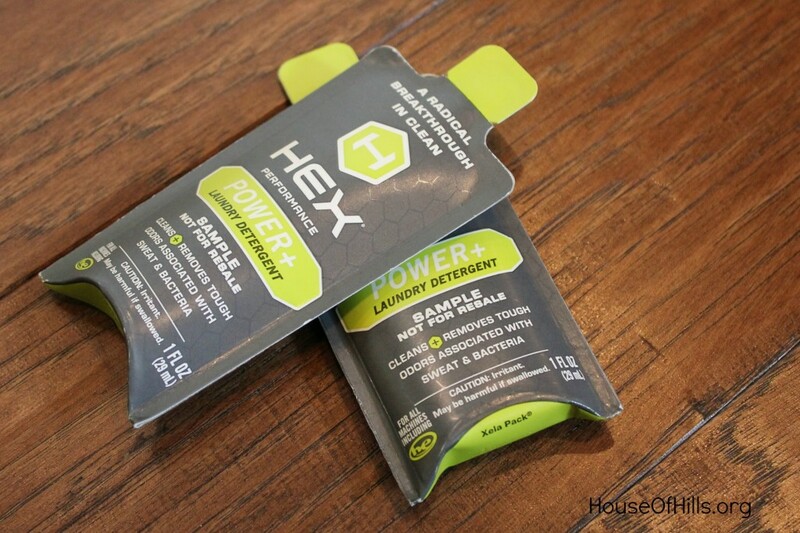 If you want to get a free sample and coupon, ALL TARGET STORES IN COLORADO AND GEORGIA will be featuring HEX Performance Products tomorrow, May 16, 2015 from 11AM -4PM. So, while you’re out running errands, be sure to stop by the kiosk and investigate further. You’ll be glad you did.